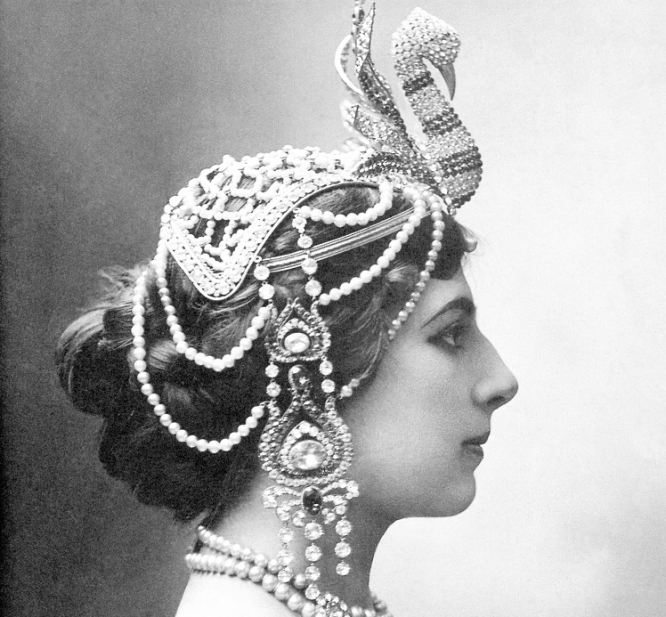 Depending on your point of view, Mata Hari was either a victim of circumstance, a common prostitute, or a scheming femme fatale who went too far – but these days almost no-one believes she was any kind of spy. Born in Holland in 1876, Margaretha Geertruida ‘Margreet’ Zelle initially enjoyed a comfortable, privileged childhood. But when she was 13, disaster struck: her father went bankrupt, her parents divorced and shortly afterwards, her mother died. Two years later, her father remarried and she was packed off to live with her godfather and then subsequently with an uncle in The Hague. By 18, she was so eager for a fresh start that she answered a newspaper advert placed by a Dutch army Captain, Rudolf MacLeod, who wanted a wife to join him in the Dutch East Indies (now Indonesia). They moved to Java in 1897 and had two children, Norman-John, and Louise Jeanne, but MacLeod, 20 years older than his wife, was a violent alcoholic who beat her and openly kept a mistress.